To take a break from your daily routine, you need a vacation and that vacation should be as romantic as it can be. You get to spend quality time with each other as a couple and a perfect romantic gateway is the best thing to make your relationship even more strong. And if you are a young couple, then a good vacation will actually be very exciting for you and you will have huge fun. So, we are giving you a list of tourist destinations all around the world which are perfect for a couple as you will get to explore a lot many things that you can’t even imagine. You will for sure fall in love with these places and would never want to return. 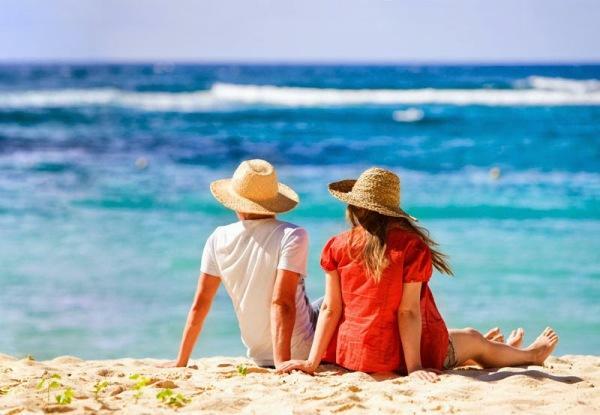 So, if you are planning for a honeymoon trip or a simple romantic trip just to pamper your wife, then these 25 best Holiday Destinations are perfect for you to explore. Choose the one which you find the most attractive and book your tickets as soon as possible. Do check them out. Granada is the perfect place for romantic couples and known as one the Holiday Destinations. Situated in Spain, this beautiful city has an ancient kind of structural build up as the city is quite old back in the 19th century. The streets here are so narrow that you can just walk through them and enjoy the view of the surroundings. The best place to get an accommodation here is the magnificent Palacio de los Patos, which is beautifully built up having modern interiors and mirrored tables. The hotel has a amazing restaurant called the Senzone. The city is also good for shopping especially for furniture, jewelry, tiles and crafts. You must explore this one. This Turkish city is a perfect Holiday Destinations for honeymoon couples. Almost everything here so beautiful that one cannot stop praising the city’s beauty. The city’s market is very much crowed and the open-air restaurants are the best of all. The food here is mouth watering which includes places like Mangerie which is famous for its sandwiches and then the Abracadabra which is famous for its grilled fish. Apart from that you may alsio explore Angelique which is a beautiful club situated at the beach side. The city has extremely luxurious hotels having amazing ambience and not to forget the Rumeli Hisari fortress which gives you a perfect paranormal view of the area. If you are a beach lover, then Bali is the perfect place for you to visit. The natural beauty here is almost like as if you are living in heaven. It is a land of beaches, temples and mountains and best Holiday Destinations. The resorts here are perfectly built up and the famous ones include the Anantara Seminyak which attracts the couples the most due to the beautiful view that one gets to see from the resort windows, then there is the St, Regis Bali Resort which is a luxurious one having private pools and villas. The island is famous for sea food as well so, does visit the Jimbaran Frish Grills to endure the best fish and lobsters. Apart from that the island also has amazing sacred temples like Pura Luhur Uluwatu. This South Indian State is the best Holiday Destinations for newlyweds. This city is popular for its natural beauty of lake and forests and also its calm atmosphere which will make you fall in love with this place for sure. The perfect place to stay is the Kumarakom Lake Resort which comprises of 49 villas having the perfect traditional ambience. The cuisines include the famous south- Indian spicy dishes like the okra and tomato bindi masala. You may also explore the beautiful Kumarakom Bird Sanctuary filled with infinite varieties of birds.Dont forget to take a ride in the thatched-roof houseboats and do a little fish catching. Patmos a very small island just 14 square miles long and one can only reach this place via boat. In spite of that fact, this Greece Island will just amaze you with it beauty. The island is best Holiday Destinations built up with an amazing structural designed village which comprises of interlinked courtyards, chapels and extremely white colored mansions. These mansions are basically the accommodations for the tourists. The place has magnificent beaches like the Diakofti Beach. For food you may try the famous fried zucchini balls and visit the Benetos to try the best fish out there. Miami Beach is in itself a heaven’s beauty. Famous for its vintage accommodations, this place is perfect to get romantic with your spouse and also known as Holiday Destinations. You can also rejoice the luxurious stay at the Thompsom hotel which is surrounded by the Biscayne Bay. Then you can also walk through the MiMo which has an amazing architectural design. The place is also good for shopping and the best place for this is the Lincoln Road Mall where you can buy the best vintage stuff. So, this place is a must visit for sure. This place is perfect if you just want to relax on your vacation away from the city buzz. The Northern California cliff has a breathtaking view perfect to click pictures with your DSLR. For the best accommodations, you may get into the Manka’s Inverness Lodge which has all amazing amenities like good food, perfect cozy suites with fireplace and good collection of books for the book warmers. You may also explore the Point Reyes Station and the Cowgirl Creamery which is a great picnic spot. This valley is famous for their beautiful wine yard which is situated at the north of Santiago in the heart of Chile. The valley has more than 30 wineries which are spread over the whole town including the Emiliana Organico. Clos Apalta is the most beautiful winery in the valley surrounded by a woody hillside. The tourists mostly stay at the Lapostolle Residence which has beautiful interiors and for food; you may visit the Asador del Valle which is famous for the roasted lambs. Las Brisas is a kind of a Tuscan state situated in Mexico which is famous for its olive oil. It is basically known as a secret village as not many people know about this place as a tourist destination. This is the best place to relax and sit by the poolside and do nothing. Here for the perfect pampering you must explore the Lulu Room from where the view is actually jaw dropping. Don’t forget to go for a horse ride at the countryside. Palm Springs is the most in demand holiday destination for couples especially by the Hollywood couples. It is situated towards the east of Los Angeles and is just a 2 hour drive. This classic place as a very luxurious place to stay in and that is the L’Horizon where almost everything is high class. You may enjoy the outdoor bathtubs, a poolside meal of Mediterranean dishes at the restaurant. You can also explore the famous hiking site, the Mount San Jacinto. This place is good for furniture shopping and other vintage stuff. To endure the best rainforests of the world, you got to visit this place once. Extremely romantic, this place is a bit difficult to reach but the reward is worth it. For your accommodation, you may stay in the Luna Lodge which has amazing tents and bungalows. The best thing about the Lodge is that is just facing the Corocovado National Park where you will get to see infinite variety of wildlife. The best way to reach the location is through a private charter which can be hired from the Alfa Romeo Air Charters. Situated in Russia, this place is more than just romantic. It is just surreal beauty as the architectural built up structure is just out of the world. It is just like you are living a fairytale dream. The amazing mint-green palace, the perfect domes and churches are to at all to be miss. There is an amazingly build up Mariinsky II theatre which has beautiful interiors. You must try the delicious hot squid salad at the Vincent and the cheese stuffed bread at the Hochu Hochu. So, all in all, city is perfect for a romantic getaway. If you are planning your honeymoon, then this place is perfect for you. Check into the Rockhouse Resort having amazing thatched roof bungalows from where the view is magnificent. Apart from the private lodges of the Rockhouse, you may also enjoy the private ladders situated just near the sea side. Then, there is the Royal Palm Reserve, a Bird Sanctuary where you may find beautiful species of birds. This Ireland’s Wild West coast has amazing landscapes and even amazing beaches, which is the most romantic thing. The best things to explore include the Ring of Kerry and the Lakes of Killerney. You can stay at the Moy House Resort situated above the Lahinch Bay. It is not that luxurious but is very accessible for the tourists. The place is also famous for bar and pubs. Hoi An is one of most prettiest towns of Vietnam. The place is mostly famous for its beach life due to its amazing coastline which includes the China Beach and the Cua Dai. The buildup structure of the streets is just breathtaking and it can only be explore by walking. You may find grat cafes, art galleries and silk shops along the streets. The Nam Hai hotel is perfect for you to stay which is just facing the beach. As far as food is concern, you must try the famous banana-leaf styled steam seabass which is delicious in its own way. This holiday destination is also not one of the popular ones but will surely surprise you when you visit it. Set above the Madhu River, this place is filled with some amazing stuff to explore. Just check in to the River House Resort and book a private villa and you are sorted as you are pampered to such an extent that you will not feel like going back home. You may travel by the boat to explore the Bird Sanctuary situated nearby along with the Buddhist monasteries also. The Fiji Island is the best holiday destination for a couple. The beautiful aqua water waves are just marvelous. The best place to stay in is the Navutu Stars Resort which is locate at the Yaqeta Island surrounded by beautiful palm trees. It has a beautiful shoreline as well along with thatched bures and diving facility. The cuisine here is amazing which comprises of both Asian and Mediterranean dishes. Venice is a city of dreams and that what makes it the perfect honeymoon destination. It has some beautiful ports located at the coastline and the Venice Simplon Orient Express train gives the perfect vintage feeling along with the carriages. Then the Black –Tie- The amazing dining car is just magical and you can explore the classic route on the train from Venice to Budhapest to Paris. The city is simply amazing. This city of desserts is quite an old one but it is the heart and soul of Morocco. The most famous luxurious hotel is the Riad Laaroussa having around 5 amazing suites with amazing interior designs. The restaurant over here is even great which serves some mouth watering famous dishes of Morocco like lamb tagine. The city streets are fill with some amazing artisans selling handmade stuff. You may also visit the Coin Berbere at Arganza which sells argan oil which is good for dry skin and wrinkles. New York is a city that never stops. The city is an amazing shopping hub and the city’s skyscrapers are just breathtaking. Right from the cobbled streets, to the Downtown, it is a place that has everything. The best places to stay during your trip are the Lafa yette House, NYLO New York City and the luxurious Plaza Hotel. The city is also famous for its cafes and lounges which give you an amazing ambience. So, do explore the city of bright lights. Napa Valley is the best Holiday Destinations for romantic couples to escape. Almost everything here is breathtaking, right from the wineries to the hotels and the restaurants. The town is famous for the best Italian dishes like the Sonama Duck and the wild mustard greens. Don’t forget to get some pictures click at the Cade Winery. 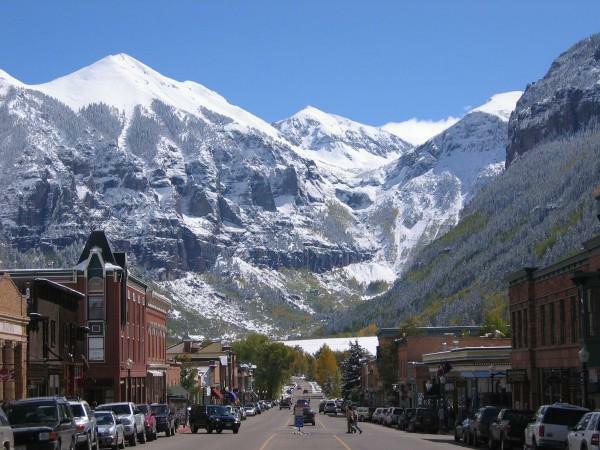 Telluride is a very romantic destination for couples. It is cover with snow-capp mountains and pine trees just like any other hill station. The best things of this small town are the streets surround by beautifully construct houses and the small books stores and the cafes. You will find the best and fresh juices and mock tails at the Honga’s Lotus Petal and for an ultimate cuisine you may visit the La Marmotte restaurant. You can bbok your accommodation at any private penthouse or at the Madeline Hotel and Residences. Build on the Sorrento Coastline, this small village is just magical to watch. The amazing castle, the cliff top church and of course the beach are just simply wow. The town is famous for cheese and meat and you can get the best at the La Tradizione market. You can stay at the beautiful Hotel Capo La Gala situated along the cliff with an amazing view of Bay of Naples. This Island is best Holiday Destinations situated on the South of the Pacific is simply amazing. The barrier reefs, the volcanic peaks, the rainforests will just make you fall in love with the place. The perfect place to stay is the very famous Four Seasons Resort having thatched roof bungalows. Relaxing along the white sanded beaches is simply blissful and not to forget the yummy Mediterranean dishes. If you are a foodie couple, then this place is perfect for you. The City is known as one of the Holiday Destinations famous for wine and artisanal food. Just get a check in done at the Islington Hotel which has beautiful antiques. Then there is the famous Frogmore Creek Vineyard which is just magical. Hobart is now becoming the exiting cultural centre due to its amazing build up structure and the existence of certain musical bands. So, these are the 25 best holiday destinations for couples. You must explore them.